Group - Cross Limits Logistics B.V.Cross Limits Logistics B.V.
Rail, barge and truck solutions. Your local import and export containers handled with care to and from all locations. Besides that, we offer tailor made solutions for your business. Is a private owned railoperator with the objective to provide a strong -and reliable logistic solution to the industry in the Rhine/Ruhr region from/to the Netherlands. We offer either Continental, Short-sea and Deap-sea cargo a direct rail shuttle connection from Rotterdam Maasvlakte (ECT Delta/APM/Euromax) to Duisburg (DIT/D3T), this vica versa with 8 departures and arrivals per week against a capacity of 100 TEU per train. Rotterdam Overseas Network was founded in 2010 with the aim of offering specialized global oceanfreight services. Our founding members and management have a proven track record from decades of experience in all major trades from and to Europe, with a specific focus on South-, Central- and North America, Asia, the Middle East and the Indian subcontinent. S&R (Marine Services) BV is founded in April 2001 and is specialized in NVOCC activities throughout the globe, aiming for the Transatlantic, Pacific and Canadian area business. Leaning on 20 years of experience in the NVO-industry on and from the USA and Canada, the staff of S&R can be of great assistance for direct clients and forwarders as well as overseas agents. Since 2011 Dutch Road Rotterdam BV is a working company of D&R Group and specialized in European overland services. The offer FTL /LTL services, reliable and tailor made. In 2006, D&R took the bold and innovative step to integrate the business processes of all D&R Group activities, customer shipments and financial information into one system. Our vision was to develop and install new technology and to introduce an integrated system with pro-active capabilities that would revolutionize customer service and optimise our logistic business operation. DR Depots was established in 1980 with the initial purpose of repairing and cleaning containers. 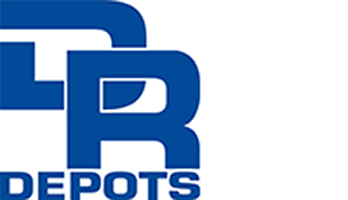 As a result of both organic growth as well as by means of strategic acquisitions, DR Depots is nowadays one of Rotterdam’s leading operators in the fields of empty container storage, repair and added-value services for both dry- as well as reefer equipment. Our facilities, technology and people meet and exceed the highest standards within our industry. Founded in 1995 in Rotterdam, with the purpose of providing a neutral service for custom-clearance and courier activities. As a independent provider of customs services including Customs Representation/ VAT Representation/Customs Consulting and Border Services, we act as your in-house customs department. It is not uncommon that containers arriving from overseas contain fumigants and/or production gases in concentrations exceeding the “Maximum Allowable Concentration” (MAC-value). As a consequence these gas concentrations can damage health either through one or repeated exposures. KGN can monitor the levels of residual gases and can ventilate containers when concentrations exceed allowed limits. Once the residual gases are removed or not present, we declare the container “Gas Free” and issue a gas monitoring report that includes gas concentration levels detected.